Traditional archers are a breed apart. We’ve chosen to adhere to the “Old School” and shoot with fingers rather than a trigger. That simple statement should stand alone, but it doesn’t. 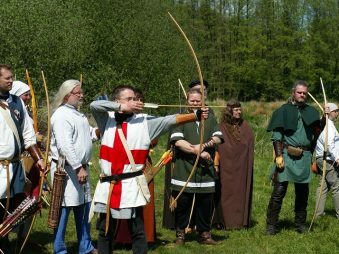 Shooting with fingers and a longbow, or recurve can present an archer with another question. 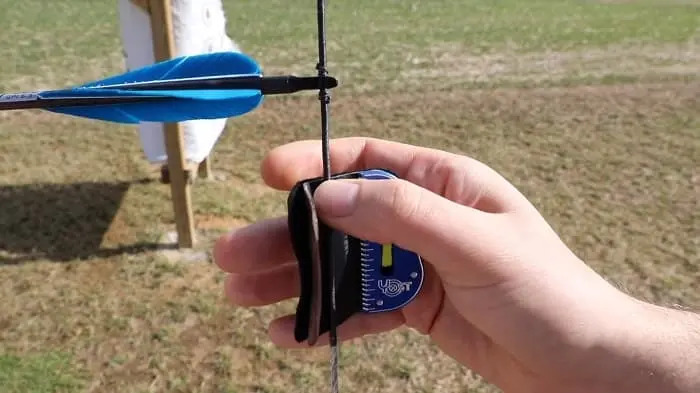 Do I shoot the tried and true, split-finger method, index finger above the nock, middle and third fingers below, or should I shoot three fingers under the nock and “walk” the string? 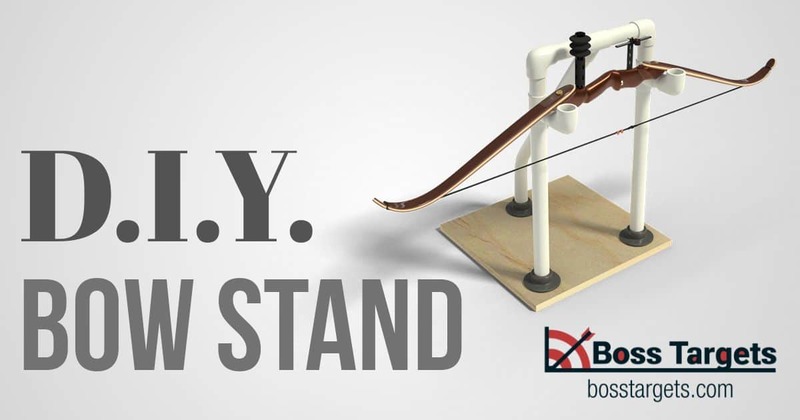 Let’s take a look at the advantages of both, and also the balance of the bow as we shoot. Nearly all bows are set up to be used with the arrow on a rest that is center of the bow. A nocking point locates a level line from the rest to the string, and we’ve all spent a moment or more making sure that line is right, prying the nocking point open and squeezing it down again after repositioning, to an exact level. Traditional archers pack a bow square routinely, to shoots, or preparatory to taking to the field to hunt. Now, as a split-finger shooter, we’re ready to put the hours of practice and whatever sight picture we use into play and shoot targets or game. Our bow feels balanced, and comfortable in hand. But what happens if we “walk” the string? As with all traditional equipment, the gear has to fit the shooter, the feel of the bow has to be absolutely comfortable. String walking does change the limb dynamic, from a balanced draw, equal on both limbs, to a more sharply stressed lower limb caused by the asymmetry of the arrow placement on the string. Let’s talk about the pros and cons of both methods. Shooting with three fingers under the nock presents us with a bow that to some, feels unbalanced and maybe even a bit awkward. Let’s consider the benefits. Three fingers under and walking the string, brings the arrow up much closer to the shooter’s eye, creating a nice long sight plane, as opposed to the arrow point that we use when aiming split-fingered. It’s like shooting a firearm. A long sight plane will get you better results than a short one. I’ve seen some fantastic scores shot at indoor ranges by string walkers, and being a bit competitive, was envious. I tried it, and it did feel odd initially. The bow felt top heavy, and it in fact is. What we have to examine are the results. As a traditional archer, I’ve shot hundreds of thousands of arrows split-fingered. Given that, changing my approach was not quite, but a bit like starting over. For me, the unbalance of the bow was the problem I had the most difficulty with. I felt as though my fingers wanted to slide up the string to the nocking point, and whether it’s true or not, I felt that the bow “stacked” much more. I shot groups of six and six, and quite naturally, my ends shot as I had for decades were consistently better at first. I shook the knuckles loose from my set mind and worked at giving it a fair chance. I never became comfortable with it, but at a set twenty yards, gained some pretty quick efficiency. Having said that, Let me say that much of it had to do with years of shooting a method and having that “feel,” thoroughly ingrained. My conclusion was that at a set distance and finding the right space below the nocking point, I was able to shoot pretty fair groups. The problem was, to find the exact distance below the nocking point. Here’s where we enter the ethical aspect of barebow shooting competitively. I watched and noticed that the most proficient archers, counted the serving wraps below the nocking point. Nothing wrong their kind of ingenious actually. I tried that, and my results improved markedly. I also noticed that a few had marked their strings, and that slides over into the realm of unethical. Most used white serving, and that discolors as we shoot, making arrow location much easier. Next, I thought about distances beyond the twenty-yard indoor range. Without a set distance, it kind of falls apart. At greater distances, a string walker has to do what the split-finger archer has to do, practice until calluses form. Still, that long sight plane is attractive. The work remains the same as far as the range of time needed to be proficient, but I can see where there is something to be gained. 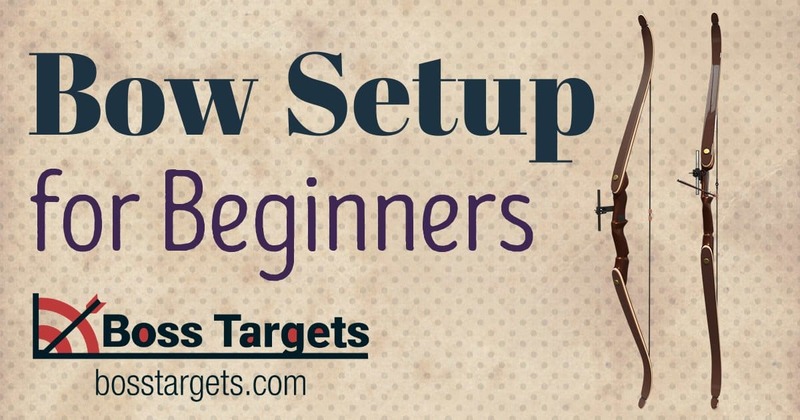 As a new archer or new to traditional archery, it might be a method worth a look. To us old-timers, it takes a lot of work to deal with the imbalance. 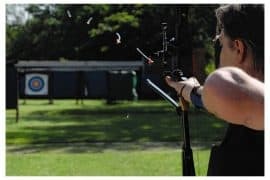 How does shooting three fingers under affect bow performance? Except between the ears, not much actually. 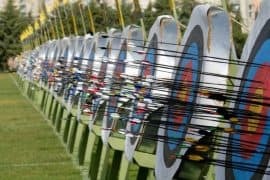 Through a chronograph, results vary a bit, but given the reality of shot placement for traditional archers, over raw speed for the compound bows, the accuracy might be worth the trade. If you’re like me, you’re looking for every foot per second there is to be had, and the thought of giving away any doesn’t set well. The difference is negligible enough. Bow length is definitely a factor. Most of us favor a shorter hunting bow, and many of us shoot the same bow for both hunting and target shooting. Finger pinch is always an issue with the shorter bows and shooting three fingers under makes that issue more problematic. Anything under sixty-six inches doesn’t work for me shooting three fingers under. The asymmetry shooting three fingers under intensifies the pinch, and if a short hunting bow is a must, you face shooting two different styles; one for the range and one for the field. A sixty-six-inch bow seems like a long bow to negotiate while hunting, but with brush buttons and patience, the smoothness pays for the trouble. We’re traditionalists. We’re the ones who do our own fletching, crest our arrows, spend countless hours on the range, doing what can be done with high tech “store bought” gear in a matter of a few hours. We shoot for the pleasure of a historical touchstone, and if we’re completely honest, we do like fiddling with the gear. Purist is an interesting term and readily fits the traditional archer. That in itself screams split-finger. And, the years spent shooting that method doesn’t encourage change. While experimenting with three fingers under and finding the results at a twenty-yard indoor range a bit eye-opening, I did return to split finger shooting. But having said that were I new to it, I would explore both methods. I like the feel of a balanced bow and have logged too many years shooting one. But other factors promote split fingers. The most glaring factor is in the field hunting. In the heat of the moment, we have all relied on hours of repetition to get us by the adrenaline rush that drawing down on a live target fills us with. At that moment, I doubt that there is the presence of mind, let alone the opportunity to count serving wraps. Perhaps a second nocking point would be the answer. A split-finger is a natural feel, the bow balances, and the nock is always where it has to be. Rules are made to be broken, they say. Nothing is borne a “tradition.” Things become traditions over time. The same can be said about the comparison between split finger shooting and “string walking.” We have to bear in mind that history and tradition are separate animals. From a technical standpoint, walking the string favors a longer and therefore generally more accurate sight plane. Robin Hood as a string walker; not so much. Plains Indians hunting buffalo from the back of a horse marking their strings. But who’s to say that a person hunting to make meat is going about it incorrectly if they slide their hand down the string? There are things to be said for both methods. Generally speaking, at an indoor twenty-yard range, string walkers have proven that the method works. I’m equally sure that in the field, a sight picture can be attained that is every bit as reliable as that of a split-finger shooter. So we can conclude that if and when enough string walkers emerge, they will have established a new tradition. Yet we are who and what we are, and for many traditional archers, the tradition will be adhered to. 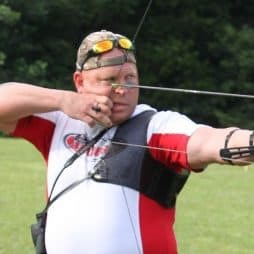 As for outdoor tournament shooting, the string walkers have to do the same work as a split-finger archer, where distances vary from ten feet to eighty yards. Yet there is still something to be said for that long sight plane. 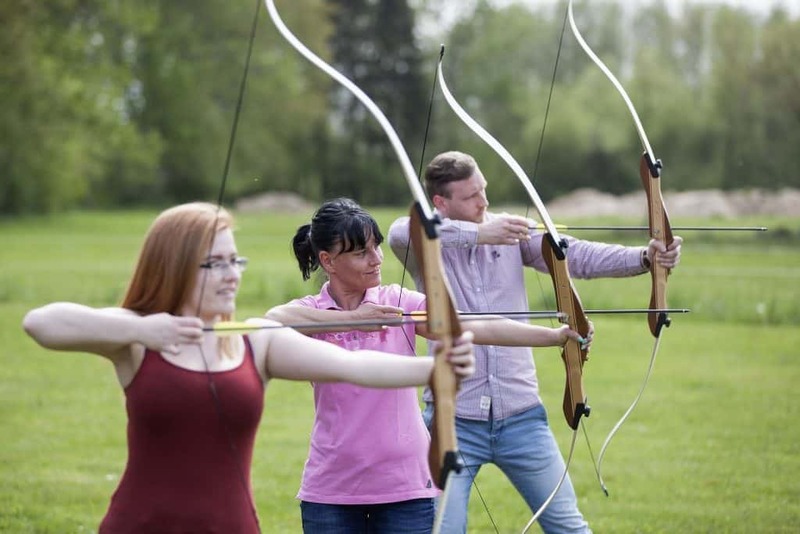 It becomes a matter of choice and comfort zone, but there is indeed not a need to create another archery class for string walkers.